We have reviewed, rated and compared American standard air conditioners so you can buy with confidence. These AC’s are not for suitable for everyone so check to see if they fit your needs! Buying a good air conditioner is more than just an upgrade to your standard of living. It is a long term investment that keeps you comfortable during both, summer and winter. There are a number of different air conditioning brands available in the market, each boasting of its own offerings; be it efficiency, reliability, extended warranty, noiseless functioning, or all of the above! However, there are a number of factors that must be considered when looking for the right unit; such as initial cost, level of efficiency, repair and maintenance cost, and so on. Additionally, consumers can now enjoy tax rebates when purchasing high efficiency units as regulated by the government. One brand that stands out among the crowd of HVAC manufacturers is American Standard. Its units feature a range of SEER, good customer service, an excellent warranty claiming system, and convenient repair and maintenance methods. Here, we have analyzed the details regarding American Standard air conditioners to help you identify whether it is the best fit for you or not. American Standard air conditioners are suitable for all climates, be it hot or cold. The compressor’s ability to act as a heat pump can serve you well during winters, while its basic function helps cool the room. American Standard’s competitive edge is found in its comparatively low initial purchase costs and, its units’ ability to accept generic parts. This feature makes them so much easier to repair, in case of a breakdown. Unfortunately, the difference gained in the initial cost is lost in the unit’s installation charges. According to customer reviews, the compressors are also somewhat unreliable and tend to malfunction when continually subjected to extreme working conditions. Here, its compatibility with generic parts comes in handy. Several professionals have successfully replaced the compressor with those of other brands, and have had no complaints since. That said, American Standard is recommended by many, regardless of its compressors’ useful life. It is important to note that the fault only arises in extreme climates. While American Standard ACs perform exceptionally in several aspects, it lacks in terms of reliability. Although the units are priced comparatively lower than many of its competitors, factoring in the expense of its frequent breakdowns more than makes up for the low initial price. Over the years, such conundrums have reduced American Standard’s market share significantly. The company claims that these high costs are in lieu of the units’ exceptional and durable build quality. However, American Standard’s customer reviews portray a different picture. Although the number of complaints filed was astounding, we noted that these complaints were quickly responded to, and rectified. The American Standard AC unit with the highest SEER is the American Standard Platinum 20, with a whopping 22 SEER; much higher than what is offered by most competitors. On the other end of the spectrum, the unit with the lowest SEER rating is the Silver 13, with a 13 SEER. When compared to its competitors; such as Lennox and, Amana, American Standard’s AC units offer slightly SEERs. The table below compares American Standard’s air conditioners’ against one another in terms of purchase, installation, and average running costs for a 2.5-ton AC unit. American Standard’s AC units have been divided into three distinct series; the Platinum, Gold, and Silver Series. The Platinum Series contains 2 of its premium units, the American Standard Platinum 20 and American Standard Platinum 18. The Gold series feature only one unit, the Gold 17, while the Silver series contains four; the American Standard Silver 16, the American Standard Silver 16 Low Profile, the American Standard Silver 14, and the American Standard Silver 13. As is clear from the table above, American Standard’s units are inexpensive to buy and, offer good running costs. However, the steep installation charges remain a disadvantage. The compressors installed in American Standard air conditioners are prone to break down, while its coils have been known to leak refrigerant gas during hot seasons. Many of these defects are due to the unit’s mishandling by poorly trained staff during installation. Many a time, the warranty provided by American Standard covers these faulty parts. However, if the unit breaks down due to poor installation methods customers have had to pay for replacements out of their own pocket. This has resulted in customers badmouthing American Standard’s warranty, and in turn, driving potential customers away. The company’s customer reviews make it apparent that poor installation techniques have led to a decrease in American Standard’s popularity. Customers who have had their unit installed by a professional contractor are more than happy with their purchase. If you are looking to hire a contractor that can handle, and install, your unit professionally, you don’t need to look any further than modernize.com. Modernize provides a vast collection of trusted contractors, each more competent than the next. When listing worthy contractors, the staff at Modernize sifts through thousands of applications each day, and verifies them, in terms of their skill, expertise, and trustworthiness. All this is done to help you find the best contractor for your installation or upgrade needs. American Standard has named its units in a very user-friendly manner. This helps potential users understand what each model represents. Before jumping into the different models’ specifications, let us discuss what each model’s name signifies and why this name was given to each unit. The Platinum, Gold, or Silver indicates the series each unit belongs to. The American Standard Platinum 20 is the company’s most premium unit, costing a whopping $6,400 with the installation. While it is the most expensive model, it also boasts the most features. Contrarily, the American Standard Silver 13 is the least efficient model; costing only $3,850, with a 13 SEER. The premium American Standard air conditioners are Energy Star rated; meaning they are approved by the US government in terms of their efficiency. Below is a table diving into the details of American Standard’s air conditioners. The overall SEER for American Standard AC’s is above average (16.66 SEER), making it the 4th most efficient HVAC manufacturer in the market. This gives the company its comparative advantage, in terms of efficiency. Thanks to new legislation, the high SEER level allows American Standard to boast of tax rebates on its units’ purchases as well. Diversely, American Standard’s least efficient unit; the American Standard Silver 13, not only misses the tax rebate, but is also ineligible for installation in several states due to its negative impact on the environment. SEER stands for Seasonal Energy Efficiency Ratio, which is a measure of how efficient an HVAC unit is in summers. If you remove the S from SEER, it gives you the EER rating; a measure of year-round efficiency. This includes cooling, as well as, heating. Although American Standard air conditioners can act as heaters during the winter season, making them useful in every season. Unfortunately, American Standard is only average in terms of its heating capacity. More on that in the sections below. One of the most frequent complaints regarding American Standard air conditioners is that of its compressors failing. Although well protected with grills and weather insulation materials, the compressors cannot bear the burden of functioning continually in extreme climates, and malfunction due to the stress exerted on its machinery. American Standard AC units have two types of compressors fitted into them; single and two-stage. American Standard’s air conditioners’ single stage compressors can cool down a room quickly thanks to their high speeds. However, this comes at the expense of an increase in energy consumption. The American Standard Silver 16, the Silver 16 Low Profile, the Silver 14, and the Silver 13, all contain single-stage compressors. If speedy cooling is what you are looking for, these units are the optimum choice for you. Two-stage compressors are much more energy efficient because of their ability to adjusttheir running speeds in accordance with the prevailing room temperature. Premium American Standard AC units include two-stage, or variable speed compressors that save energy, but are relatively slow in cooling the room down. The American Standard Platinum 20, Platinum 18, and Gold 17 have variable speed air conditioners, thus being a lot more energy efficient. Along with pushing the unconditioned air through the coil, condenser fans help keep the compressor cool during operation. These fans usually reflect the type of compressor installed. Up till now no complaints have been recorded regarding American Standard’s air conditioner’s condensers. American Standard air conditioners perform moderately during heating seasons. This relatively lower performance has resulted in lower EER ratings for the units compared to those of its competitors, especially Ruud. The unit’s compressors can reverse their core function by putting negative pressure on the Freon gas, instead of a positive one. As the gas travels through the coils, the pressure exerted on it heats, and expands it, warming up the coils as well. The condenser fan blows the cold air through those coils, which is heated, and blown into your house. Although the coils installed in American Standard aren’t as conductive as those of Ruud, they are extremely durable. Often, expert installers recommend Ruud customers to replace their unit’s coils with those of American Standard’s; to prevent leakage of the refrigerant. American Standard air conditioners perform well when it comes to their noise levels; especially in terms of noise performance under optimal conditions. Insulating materials, such as rubber and thermosetting plastics, surround the compressors of American Standard AC units, effectively reducing noise leakage. Under optimum conditions, the American Standard Platinum 20 operates at a measly 42 decibels, while the American Standard Silver 16 Low Profile can go as low as 35 decibels! However, that is not to say that there aren’t quieter AC units available in the market. While these units are quiet as a mouse in front of a majority of HVAC units out there, there are a select few units that can put American Standard to shame as well. Nevertheless, these units cost a fortune in front of the American Standard Silver 16 Low Profile. American Standard has a 10/12/10 warranty policy. This means that it gives a 10-year warranty for the outdoor coil, 12 years for the compressor, and 10 years for its internal function parts. This warranty is disappointing when compared to its competitors, some of whom offer lifetime warranties on their parts, and compressors. Some American Standard installers give their users the option to purchase extended warranties as well, but that warranty is not extended by the company itself. American Standard’s own customer service representatives are known to be respectful, professional, and extremely helpful. They are known to try their best to find a solution, and only refer customers to their installers, or supplier once their own warranty period has expired. Fortunately for consumers, as mentioned previously American Standard’s units work well with generic components. The extra room in the chassis allows for other brand parts to fit easily into the conditioning unit, making repair and maintenance much easier. 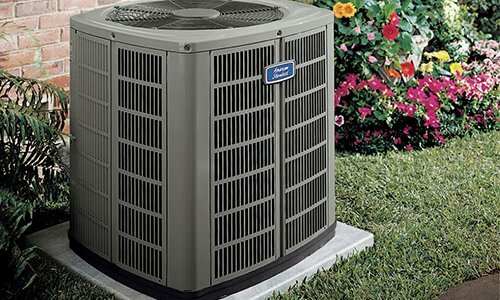 Professional installers recommend replacing American Standard’s faulty compressor for one of Bryant’s extremely reliable ones. This recommendation works wonders if you live in a hotter area, and frequently face compressor breakdown issues. According to a bill passed in 2018, American Standard’s air conditioners are eligible for hefty tax rebates due to their efficiency levels. This bill allows a tax rebate of 10% of the cost (including installation expenses) up to a maximum of USD 300 upon purchase. Customers can avail this tax credit the next time they file their tax return. American Standard’s Platinum 20, Platinum 18, Gold 17, Gold 16, and Gold 16 Low Profile are all above SEER 16, and therefore eligible for the aforementioned tax credit. Founded in 1929, American Standard Companies was a global manufacturer of HVAC units, bath and kitchen products, and vehicular control systems. In 2007, however, the company dissolved all its production lines other than its HVAC business. The prime focus of American Standard is cost-efficiency, and affordability. However, while achieving this objective, the company unknowingly sacrificed its compressors’ and parts’ durability. Yet, even today customers lean towards American Standard air conditioners, because of the utility it provides. American Standard offers an efficient variety of central air conditioners, available in different tonnages, at affordable and competitive prices. Regardless of the unit you go for, you can’t go wrong with American Standard, in terms of cost-effectiveness. 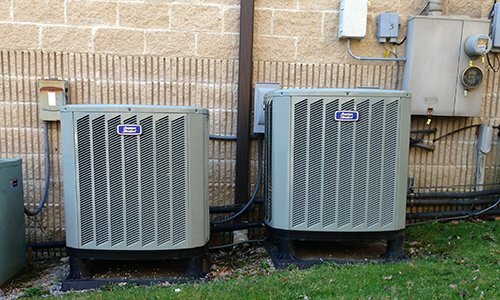 Adding that to the versatility of these units, and their compatible nature, American Standard takes the cake for many a customer that remains concerned about the repair and maintenance of their HVAC unit. The company provides good customer support if the product is under warranty, but that doesn’t exempt you from freight and shipping charges, or labor costs. Although these factors justify the high prices of American Standards, the low durability of these units are a major let-down for many. To get the most out of your new HVAC unit, you need to hire an experienced and trustworthy contractor who knows their way around American Standard air conditioners. Not only should your chosen contractor be able to install the unit in the correct manner, but also advise you on how to extend your unit’s life. To get your hands on an experienced and reliable contractor, answer the questions in this form.